Become the monarch of your next barbecue, picnic, or tailgate with Napoleon’s TravelQ PRO. Become the monarch of your next barbecue, picnic, or tailgate with Napoleon’s TravelQ PRO. This portable grill packs a wallop. Grill up to 20 hamburgers at once on the 285 square inches of cooking area. 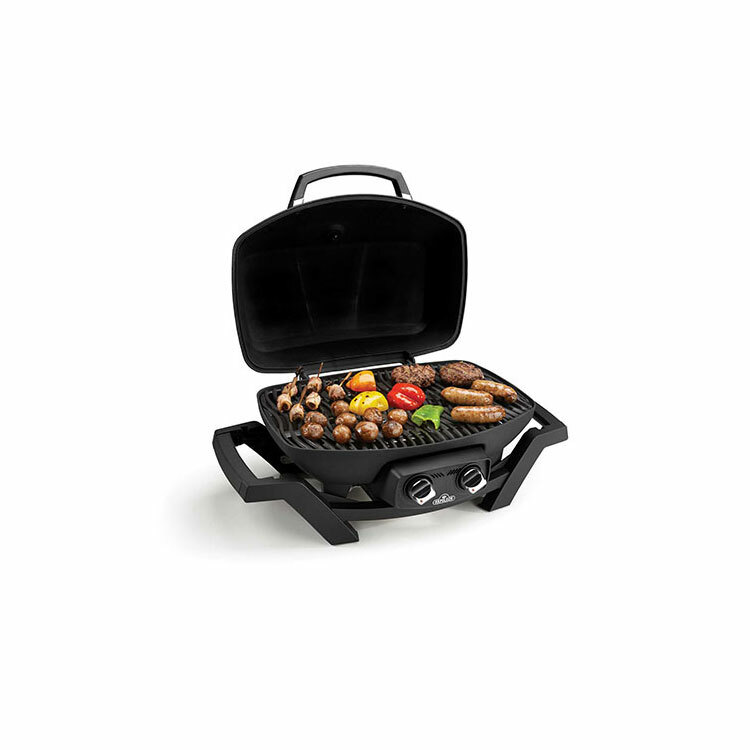 Easy carry handles let you take this grill wherever you want. Place it on any stable, flat surface and turn on with the easy to light JETFIRE ignition system. No set up or prep required, just add fuel. The stylish all black finish with chrome details will go with anything too.